Satellogic announced this week an agreement with China Great Wall Industry Corporation (CGWIC) to launch 90 of its spacecraft. The first dedicated launch will take place later this year from the Taiyuan Satellite Launch Center to put 13 satellites into low earth orbit (LEO) on a Long March 6 rocket. The “world’s vertically integrated geospatial analytics company” already has a demonstration cubesat and 5 spacecraft in orbit. 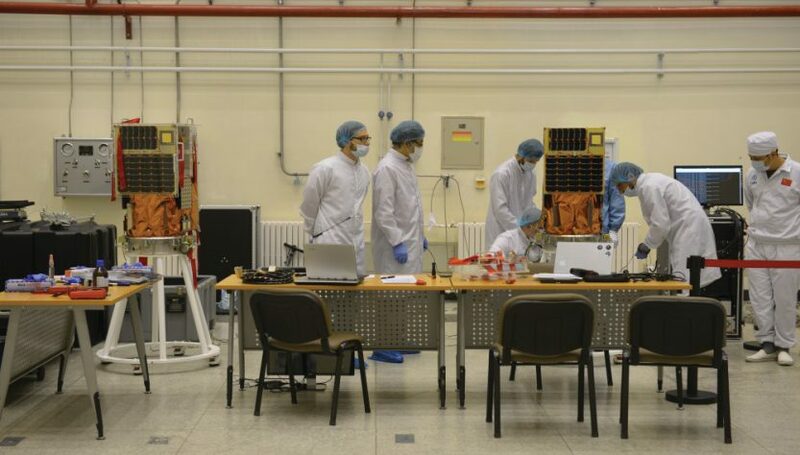 Satellogic has another 3 spacecraft scheduled to be launched by CGWIC in 2019, with the dedicated Long March 6 mission planned in the fourth quarter of 2019. The launch will bring the total number of production Satellogic satellites in orbit to 16, providing a 2 hour revisit time for any point on the globe. With 90 satellites in orbit, Satellogic says it will have an earth observation constellation to map the entire planet at one meter resolution every week. A company spokesperson says Satellogic would like to have a final constellation of 300 satellites, enabling it to provide daily imaging of the entire planet at 1 meter resolution at lower cost than existing imaging systems. Each satellite of the current generation is “just under” one meter by 50 cm by 50 cm and weighs in at 45 kilograms. Two different imaging payloads are on board, a 1 meter resolution multispectral camera and a 30 meter resolution hyperspectral imager. Based in Buenos Aires, Argentina, Satellogic has around 160 employees and offices spread around the world, including a satellite assembly, integration, and test facility in Uruguay, a data technology center in Barcelona, Spain, product development center in Tel Aviv, Israel, and a business development center in Miami, Florida. The company’s newest location in Beijing, China will focus on constellation “customization,” data services, and industrial applications. Satellogic has raised over $78 million to date, including $22 million Series A and $27 million Series B rounds lead by Tencent. The biggest challenges for the company at this point are the rate it can produce satellites and having enough capital to build and launch them. Exact comparisons between Satellogic and other competitors in the booming imaging industry are difficult to quantify, with the Spaceflight SSO-A launch alone putting a mix of at least 17 commercial and research imaging satellites into orbit. . Planet has over 160 satellites in orbit with the vast majority of those small Dove cubesats capable of 3 to 5 meter resolution and imaging the entire Earth’s surface daily, plus another 15 SkySats able to provide sub-meter resolution imagery. BlackSky has two 1 meter resolution satellites in orbit and wants to launch a 60 satellite constellation. Like Satellogic, both Planet and BlackSky are embracing the use of machine learning and automation to process imagery and make it easier for end-user to get results faster while third-parties such as Ursa and Descartes Labs are building AI tools to take in and process imagery from multiple sources for faster usability. Two areas likely to cause some consternation in U.S. government circles are the lack of American-made technologies in Satellogic satellites and Satellogic’s funding by the Chinese government. No U.S. technologies mean no ability by the U.S. to have insight into the quality of imagery and no way to have “shutter control” over where and when imagery is taken. Chinese funding and an office in Beijing gives the government of China relatively easy access to the imagery from the constellation.